How Consistent Do We Need To Be? Pro-Lifers like me are inconsiderate, hypocritical jerks. “I actually don’t believe you’re pro-life, I believe you practice a far more selective and convenient defense of Humanity. From where I’m standing it seems as though “Life” for you, comprises a very narrow demographic—one that bears a striking resemblance to you. 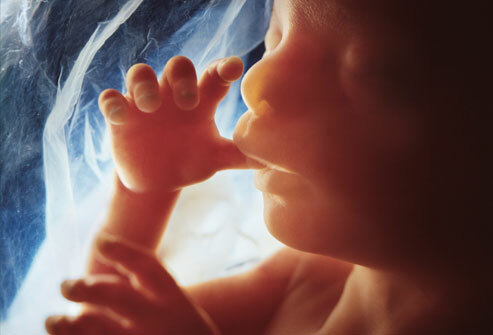 The unborn are easy to advocate for because you can idealize them into something palatable to you, something benign and comfortable, something in your own image. Pastor Pavlovitz then goes on a very emotional diatribe about the alleged inconsistencies of conservative pro-life advocates, highlighting how they are not really “Pro-Life” unless they take the time to address every other issue of controversy. Aside from not citing a single example of pro-lifers actually arguing that only “straight, white, Christian fetuses” should be spared from abortion, and also ignoring the work of pro-life advocates like Star Parker, Dr. Alveda King, Christina Marie Bennett, and many others, all of whom uniquely focus on the problem of abortion in minority communities, he doesn’t provide a single explanation for why any of the issues he lists need to be addressed with the same seriousness as abortion. He simply assumes moral equivalency, without providing any arguments for that assumption whatsoever. He then goes on to ridicule his opponents for what he sees as selectively valuing only life until birth. Instead of refuting the pro-life argument, bringing up supposedly inconsistent beliefs does nothing to justify killing a preborn baby. It’s simply a lazy way to change the subject and score cheap points by making people you disagree with look bad. Such a behavior is pretty unbecoming of anyone claiming to be educated, let alone claiming to support justice. Mr. Pavlovitz, I wish you really did care about social justice. Life Training Institute is on track to reach and train over a 100,000 students and advocates this year alone. Your support can spark the movement that ends abortion.